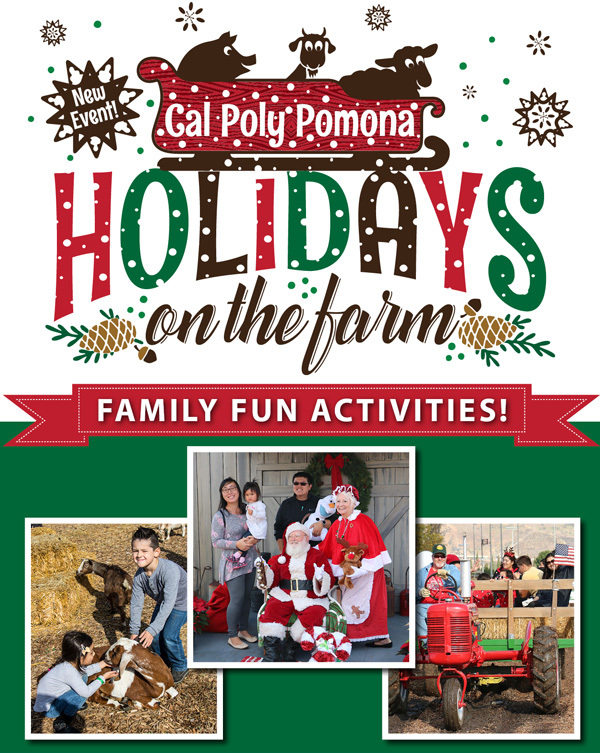 The December 2018 event was a huge success that included Snow Sledding, Santa’s Farm, Cal Poly Pomona Holiday Petting Farm, games and activities for the kids, Tractor-Pulled Hay Wagon rides, and so much more! Please check back later for future event information. The best way to keep in touch is to join our email list or follow us on Facebook.